It is fascinating how some people in Family Court believe that anything goes. Dirty fighting, low blows, torpedoes and surprise maneuvers are common. Lying is almost expected. At least it is not shocking. It is understood that people embellish, re-invent history and even create fiction to gain some imagined advantage. The system has few methods with which to deal with this, but we will discuss some of the effects of scorched earth litigation. When a person has the beliefs outlined above, and as a result is enraged at the other person (e.g. an estranged spouse), many people (not all) will give themselves permission to act badly against the other. The perceived victim may indeed feel totally justified in besmirching the other party’s name in the community, making marital property (not yet divided up) disappear or damaged, or worse. False allegations can be commonly found in domestic violence complaints, in financial allegations and with regard to parenting skills or involvement. A parent who wants to hurt the other, may use the children as a weapon. This is sadly common. The children suffer and it often becomes clear to the Judge that one parent is doing this, causing upset or alienation, or other problems. The Court, once this is clear, will come down hard on the parent causing problems for the children and for the other parent. It is not so difficult to identify in most cases. False domestic violence allegations are very damaging and cause immediate consequences to the falsely accused party, if a Temporary Restraining Order (TRO) is issued. This includes being immediately kicked out of the house with the shirt on your back, having your legally obtained weapons confiscated, and perhaps not being allowed to have contact with the children. All of this is Temporary (in NJ where I practice) until the final hearing which is a trial. If the trial results in a Final Restraining Order (FRO), then it is permanent until and unless dismissed by the plaintiff, the person who sought the order. (We are only talking here about false allegations and not the majority of complaints that truly reflect incidents of domestic violence and rightly result in an FRO.). The result of being wrongly accused of domestic violence when none has occurred, besides being horrifically malicious, is a financial loss due to the attorneys’ fees the defendant must spend to be defended in this trial. The trial can involve calling witnesses, introduction of evidence (e.g. tapes, photos, texts, etc.) and may be continued over a period of days. It is possible to spend tens of thousands of dollars (but more likely around $10,000) to defend a complaint of domestic violence. It also costs the accuser for the days in court and the resultant legal fees. False accusations of dissipating marital assets, stealing or hiding marital money, transferring property to the name of others to “hold” for the owner, or charging up a storm on the spouse’s credit card can also cause much damage and result in high fees. A forensic accountant, depending on the nature of the valuation of a business, or evaluation of where money went, can cost anywhere from $15,000 to $50,000. Depending on the complexity of the case, the sky is the limit. If the accusing spouse is simply making accusations over feeling cheated, without a concrete (documented) basis, it will end up costing the accusing spouse a lot of money just to vex the other spouse. In fact, a Judge could make the party requesting a forensic accounting pay for it 100%. The same is true for an accuser who wants a vocational evaluation for a spouse who is accused of being “voluntarily underemployed”. The question is whether it is really worth it to throw out $10,000 or $25,000, or whatever it is, just to “go after” the other party due to anger? Some would say yes, it’s worth it. But besides the bad Karma, and the risk of losing one’s credibility with a Judge, there might be a better use for those funds, such as a vacation or maybe psychotherapy. It is common, when child custody or parenting time disputes arise, for parents to allege all kinds of things about the other parent that they never alleged before. A good example is an allegation that the other parent drives the children in the car when intoxicated or under the influence of something. This begs the question of “Then why did you allow your spouse to drive the children with that spouse for the past 8 years, thereby putting them in danger?” False accusations that the other parent was never involved with the children when that parent actually was, or that the other parent is not interested in the children or does not participate in the children’s lives, becomes “he said-she said” to a Judge. 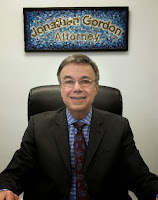 Most of the time, with opposing allegations, or with allegations and denials, a Judge will refer the parents and children for a psychological evaluation as to the best interests of the children or for a custody recommendation. Just parenthetically, a full psychological evaluation with a written report on a family could cost between $15,000 and $25,000. Court testimony is extra. But the Roman theatre includes low blows, dirty fighting and distraction. It is no different in Family Court with some people who have a score to settle. At the end of the day, the Court has one ultimate tool in the decision making process, namely the trial. If there are disputes of material fact, possibly credible accusations or allegations on both sides, and there is a dearth of clear unequivocal evidence available, then the Court will set a date for a trial on the issues, with discovery (e.g. document production, depositions, reports from forensic experts, etc.) deadlines. You can count on such a trial costing from $25,000 to $75,000 or more, depending on the complexity of the issues. If this litigation is being driven by anger and vengeance, it is very unfortunate and dysfunctional. You will lose all of your savings unless you are very wealthy. You may go into debt to finance this. When the trial is over and the Judge makes her or his determinations, you will find that most of the time, it will be in the neighborhood of a midpoint between the previous positions of the two parties. Had they gone to mediation, or worked it out between themselves and then had their attorneys draft an agreement, they could have saved a ton of money and gotten the same or similar outcome. But vengeance is sweet. Sweet can be very expensive. Not only is the seeking of vengeance or retribution expensive financially, it also takes an emotional toll on both parties. It is self-inflicted suffering. For someone who perceives themselves to be a victim, this is perfect. But not everyone wants to be in litigation for the fun of it. Often, the accuser will leave the trial very surprised and devastated that the Judge was not very impressed with the allegations, or with the evidence, or with the credibility of the accuser. So not only was the defendant forced to spend a lot of money on a lawyer to defend themselves but the plaintiff/accuser threw their money out needlessly just to get even with the spouse that was such a “bad person” to that spouse. Trials are sometimes necessary to get to the truth when the truth is not readily apparent to a Judge. Two people can genuinely disagree on how much time a child should spend in a particular parent’s home, or disagree on how much money was spent on certain things that now should be a financial credit for a party. Genuine disagreement, especially when mediation efforts failed, will be resolved by a Judge. But to waste the court’s time and to put the other party through the wringer out of malice, is just dysfunctional, wasteful, and abusive. Unless a party wants to drag things out to punish the other party, it is better to work things out amicably, whether between themselves or in mediation, than to use the Family Court as a Roman theatre to act out their hatred of the other party. And if you believe in Karma, well, it often comes back to bite you later on.